Looking for a snack that’s healthy but also packs just a little bit of sweet? Check out our chocolate berry granola parfait recipe that both kids and adults will love! Okay, parents, let’s be honest. You’re breathing just a little sigh of relief that the kids are back in school and your family schedule is getting back to normal, right? However, for many that means life is back to the go go go state whether it’s to get to a sports event or just get homework done before dinner. After a long day at school, the kids are sure to be looking for a snack before moving onto the next item on the family schedule. Most kids want to reach for things like cookies and frozen foods first, but it’s important to have healthy choices they’ll also want to reach for on hand. That’s why I love that when I’m shopping at Target for a few things to get us through the week, I can also stock up on healthy kid-friendly snacks from the Simply Balanced line. There are so many choices including organic juice boxes to organic granola bars and raisins that are perfect for both on the go or making it extra special for snacking at home. As we try to eat healthier, I’m a big fan of Target’s Simply Balanced products because they help take the guesswork out of eating better and are very affordable. All Simply Balanced products are free of artificial flavors, colors, and preservatives and many of the products are also organic. We always have items like Simply Balanced granola bars and dried fruits like raisins in the car so we have healthy snacks on the go. However, when we’re at home, I love making healthy snacks that also have just a little bit of a sweet treat to celebrate those days where someone has passed a test with flying colors or just to say happy today. 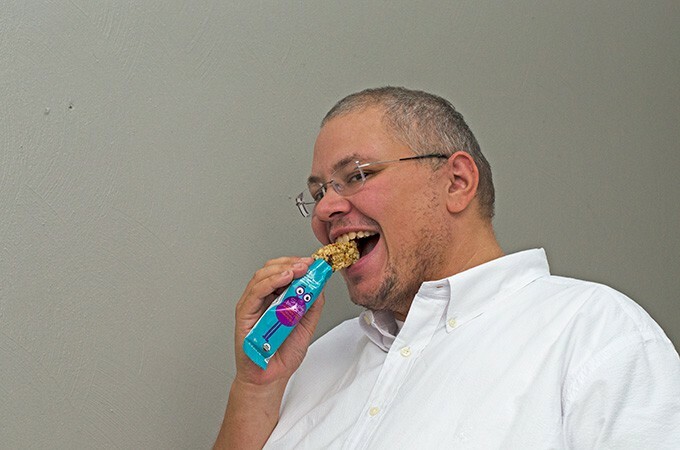 Even kids at heart love Simply Balanced Chocolate Chip Granola Bars! One of those favorite healthy snacks that really feels more like a treat is my recipe for chocolate berry granola parfaits. The kids always want ice cream snacks, and honestly, so do I, but I find Greek yogurt flavored with vanilla to be a tasty healthier option. Add in some crumbled Simply Balanced Chocolate Chip Granola Bars for a healthy crunch, berries for freshness, a thin layer of chocolate for a sweet treat, and just a bit of whipped cream and you’ll have a healthy yet delicious snack that both the kids and adults will love. 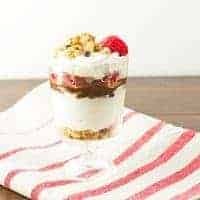 I love putting the parfaits in small mason jars or mini trifle bowls as having your own individual snack makes it all the more fun. Plus, I love that the parfaits require no cooking or baking and just take a couple minutes to put together. Here’s how I like to make ours. 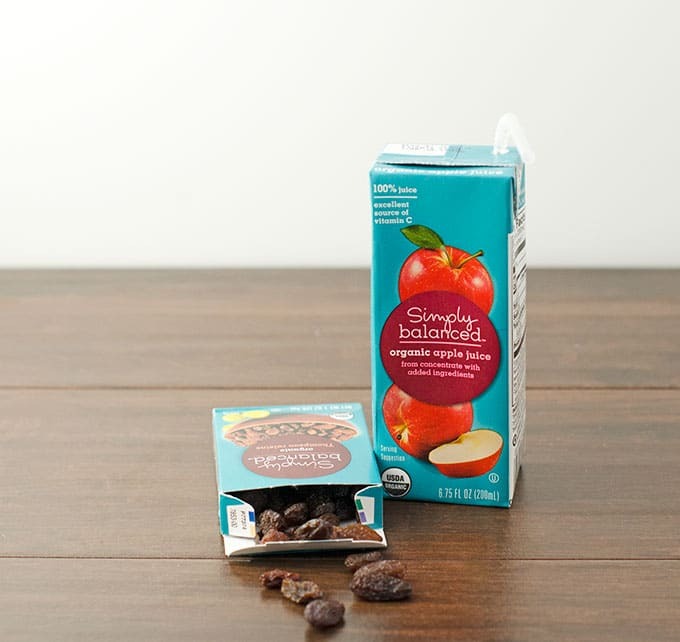 Boxed raisins and juice boxes are great for snacking on the go. This chocolate berry granola parfait recipe is the perfect snack for when you want to eat healthy but still feel like you're eating a treat. Place 3/4 of crumbled granola bar in the bottom of a single serving sized dish. Press down lightly to make an even layer. Reserve the rest of the crumbles to sprinkle over the top. Spoon yogurt over the granola, slightly smoothing to make an even layer. Spoon and smooth out hot fudge sauce or chocolate syrup over the yogurt. Sprinkle a layer of berries over the chocolate layer, leaving a single berry for garnish. 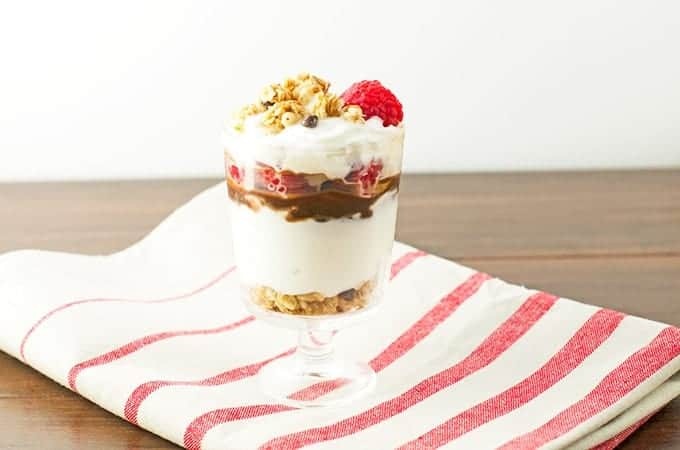 Top the parfait with whipped cream and sprinkle reserved crumbled granola bar over the top, also garnishing with a berry. If you or your kids aren't fans of berries, you can also use chopped up fruits like bananas, pears, apples, etc. You can also use regular yogurt if Greek is too tart for your family. 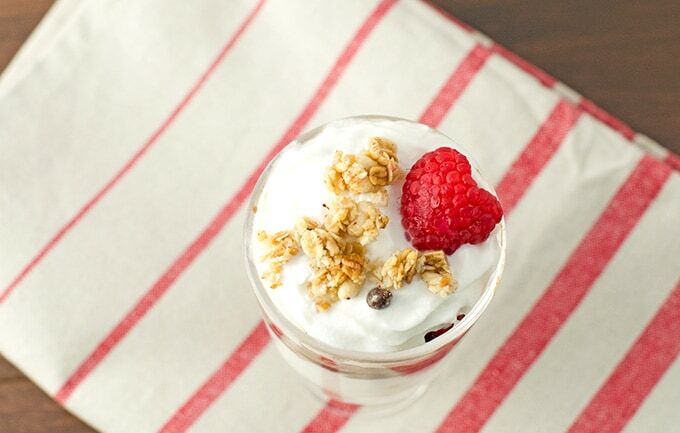 We hope your family will enjoy snacking on this Chocolate Berry Granola Parfait Recipe soon! What are some other quick and healthy snacks your family enjoys? 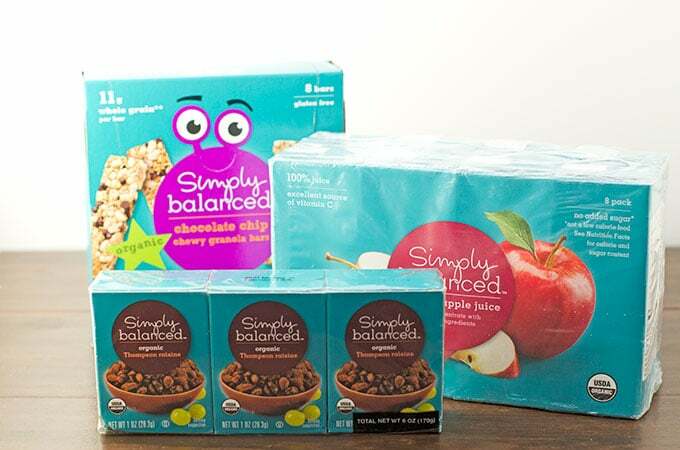 If you’d like to try some of the Simply Balanced line yourself select products, like the Chocolate Chip Granola bars, will be 30% off using Target’s Cartwheel App during the week of September 13 – 19! « Need Your Own Space? Try a She Shed!